WHICH GROUP WILL PRODUCE THE 2010 WC WINNER? Fri 6/11 Will Spain win 2010 World Cup? Fri 6/11 Will Brazil win 2010 World Cup? Fri 6/11 Will England win 2010 World Cup? Fri 6/11 Will Argentina win 2010 World Cup? We will have two lines each for total and spread during the game, as well as a 'who will advance ?' line in the knockout stages. We will deal 1.96/1.96 spreads, 1.02% Money Lines, and 1.95/1.95 totals at Half Time, and also add a third line and team totals at that time. Pinnacle Sports takes a unique approach to online betting, offering the best odds and highest limits anywhere online, giving you the best chance to win more betting on a huge range of sports. This is only possible because of our unique combination of exclusive technology, and expertise in odds-setting, that separates us from the competition. This model enables us to offer online sports betting with up to 60% value than traditional sportsbooks. The company’s unique approach to online betting has earned it a special status in the world’s gambling community, it serves customers in over 100 countries, including many professional gamblers. In simple terms, online bookmakers make a profit by pricing their online betting markets so that the odds offered do not fairly represent the actual statistical probability of the event concerned. The simplest analogy is betting on a coin toss, which statistically represents a 50/50 chance on either outcome – heads or tails. As a probability this is expressed as 0.5 or decimal odds of 2.00 on both sides (without margin); so when betting with a friend, you’d bet €10 to win €10 on either heads or tails. To make a profit bookmakers however, would offer heads or tails at odds below 2.00. The industry average margin is 1.91, where you would bet €11 to win €10 on what is essentially an equal chance. If one player bets €11 to win €10 on heads and another punter bets €11 to win €10 on tails, the bookie takes in €22 in bets but regardless of whether the outcome is heads or tails, he will pay out €21 (€10 in winnings and €11 stake). The difference between the odds they offer, and the true price represents the bookies’ margin, in this case a €1 profit or 4.5% on turnover - giving the bettor a 95.5% payout. At Pinnacle Sports two-way markets, such as a coin-toss, would be priced at 1.962, which is a margin of just under 102%, and a player payout of 98%, with no commission. Use our betting calculator to see for yourself, looking at our key offerings such the best value World Cup odds. Given the margins at traditional bookmakers, you would have to win close to c. 53% of two-way bets to break even with, but the low margin model at Pinnacle Sports means you would only need to win c. 51% of your picks to break even. Over a sporting season this difference becomes significant, and is recognised by professional gamblers for whom Pinnacle Sports is the default choice. Pinnacle Sports extends this low margin approach to every market it offers, so for example 1×2 soccer markets - such as the five major European soccer leagues - are priced to 103%, which is a 97% payout compared to an industry standard of 92%. As a result we are consistently best priced against all competition, giving you the best chance to win more better on three-way soccer. 100% Bonus for your first time deposit. Sign up and get started with the best contest anywhere and enter your selections for Stage 1 right now!! Sign up now with Junk and get entered for WORLD CUP Tournament Contest and make sure you have submitted your account number. FOLLOW YOUR BRACKET, RESULTS AND TEAMS ONLINE AT THE SITE ALL TOURNAMENT. Click the link above and register if you do not already have an account and pick your teams and bracket entries. Here is the information if you want to join. 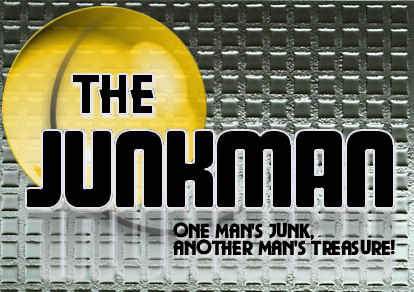 junkman@junkmansports.com to confirm your entry. *All Prizes will be placed in your Bookmaker account, Diamond Sportsbook, BetCanadian or Las Palmas Sportsbook account as long as you are active and funded. Having an active and funded account with Junk as your Bonus Code when you register you will be eligible for 100% of the prizes otherwise you will be eligible for 25% of the prizes. .
and having signed up with Junk Bonus Code. Sign up using the links below to be eligible for all the prizes. LAS PALMAS SPORTSBOOK ACCOUNT ACTIVE AND FUNDED WITH JUNK. information in violation of any federal, state or local law is prohibited.